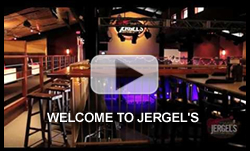 Jergel’s has a multi-faceted sponsorship program to meet your budget and program criteria. There are many levels to align with your objectives and we’re willing to negotiate a plethora of options to suit all parties. The Jergel’s audience is an ideal target demographic for your business. Our guests are educated, affluent, and loyal. Their loyalty to our facility extends to the businesses they support and products they buy. 75% of our audience is between the ages of 25 and 54. 62% have annual household incomes greater than $75,000+. 23% have annual household incomes greater than $100,000+. 72% have received a college degree or some higher level of education.